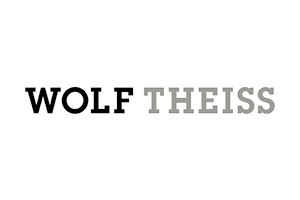 Wolf Theiss is one of the leading law firms in CEE/SEE. We have built our reputation on a combination of unrivalled local knowledge and strong international capability. We opened our first office in Vienna almost 60 years ago. Our team now brings together over 340 lawyers from a diverse range of backgrounds, working in offices in 13 countries throughout the CEE/SEE region. Before opening our Bucharest office in 2005, we had successfully represented international clients in Romania for many years. With over 30 local and international lawyers, the team is now one of our largest – and still growing fast. We put it down to a combination of hands-on local knowledge and the international perspective that comes with being part of a multi-national firm. It means we have the expertise and resources to steer even the most complex cross-border transactions to a successful conclusion. In fact, that is what we enjoy doing best. The way we see it, every case and every client is different. So we develop solutions to match. Recent cases cover everything from corporate/ M&A, real estate, banking & finance and capital markets to private equity, privatizations, IP, telecoms, IT, tax and dispute resolution.